The Before Shakespeare conference is over. But while the Before Shakespeare project continues, those of us who gathered together in sunny Roehampton at the end of August for four days of presentations and performances are left to contemplate life after Before Shakespeare. Like any good event, the Before Shakespeare conference crackled with ideas. The conference was bookended by two serious and sustained attempts to consider what constitutes theatre history; both sessions were characterized by a determination to expand the horizons of the discipline. Bringing together literary, theatrical, and cultural analysis, with performance practice and archaeology, the Before Shakespeare team encouraged us to think in new and exciting ways, not only about the emergence of the early playhouses, but more broadly, about our disciplinary practices. In this blog post, I want to consider some possibilities for future study. What do we do next? It seems to me there are simple and complex answers to this question. I’ll start with a simple one: we go wherever we want to go. One of the things I enjoyed most about the conference and its participants is that there did not seem to be evidence of the subject policing which can occur at academic events. Individuals will have their preferred approaches, of course, but I didn’t feel there was any attempt to hierarchize. Instead, I felt as if we saw a variety of approaches, which offered a fresh way of thinking about a neglected topic. Theatre history is usually interpreted rather narrowly, but participants at the conference all contributed to our understanding of playhouses, plays, and performance culture, whichever methodology they chose to use. The plays of this period have had far too little attention and have been too frequently subjected to the same (often ungenerous) conclusions: any approach which can attest to the richness of the material the period offers is going to be valuable. But there are more complex considerations too. The Before Shakespeare conference generated so many ideas that it will take time to process them all. Some of us may have left doubting our approaches, or wondering what new skill we might need to acquire, or what new approach we might need to incorporate. I left feeling as if there was a lot I wanted to read, a lot I wanted to watch. This is exciting, but tricky and even exhausting work. I still think, in the main, we don’t acknowledge the kind of mental labour conferences entail and the potential for them to overwhelm participants (perhaps especially, early career participants). The collegial nature of the Before Shakespeare conference hopefully minimized that possibility, but I’ve found in the past that some of the most exciting events can also be the most taxing. With that in mind, I want to suggest a few possibilities for future approaches. I don’t mean to imply they are the only ones (or even the ‘best’ ones) but hopefully they can help participate in a conversation about the future of our field. One of the most interesting aspects of the conference was how it encouraged us to think about the different strategies we might employ in our own work. This was possible partly because the participants presented a range of approaches but also because there were no parallel sessions, so all participants could see all of the conference. There are certainly advantages to parallel sessions, but the single session approach favoured here made it possible for everyone to be part of the overall conversation. It was fascinating to see the crossover between different papers, panels, and workshops. I learned a lot more about, for example, theatre spaces, the practical considerations informing performance, and the relationship between the theatre and other forms of fiction. These are all things which I can factor into my future work. The discipline usually calling itself ‘theatre history’ has more to learn when it comes to welcoming other forms of practice. There is a lot to be said about combining the insights of archival research and documentary data with literary criticism, to attest to the joy, and the danger, and the wonder of theatre as an art form. And there’s a lot to be said for performance research which seeks to bring out the vitality of the drama, especially given the generally poor critical reputation of many of the texts of this period. So I would say that one of the things the conference hammered home to me is that theatre history can probably stand to be a bit more fun. Or, to put it another way, my work can probably stand to be a bit more fun. By combining approaches, I hope I’ll be able to move closer to achieving that in the future. It’s realistic to expect to be able to combine different approaches in a single piece of work but sometimes collaboration is needed to reach new insights. The conference demonstrated the mutual benefits of working with performers and archaeologists, but also spurred us on to think of other forms of potential collaboration, both inside and outside theatre history studies. What might social, cultural, religious, or political historians tell us about the theatre of this period? Can anthropology help us to better understand the emergent phenomenon of playhouse attendance in the 1570s? Given that fencing, and acrobatics seem important to the development of playhouse performance, should we think about whether fencers or acrobats can be part of practice-based research into early modern performance culture? These are merely some very hastily considered possibilities. Nor should we discount continued collaborations between academics practising different kinds of theatre history. We can’t do everything: collaboration can help us to achieve things which would not have been possible alone. But in amongst all this, there is still plenty of scope for specialism. We can’t all do everything. After all, it takes time, effort, and resources to be good at something. What seems important is that we remain open to other approaches, whether we use them directly or not. The study of this (or any other) period of theatre history is far too important to be left to any one approach. There can be no definitive account. We need a range of different voices, testifying to the complexity and power of the theatre of the past. 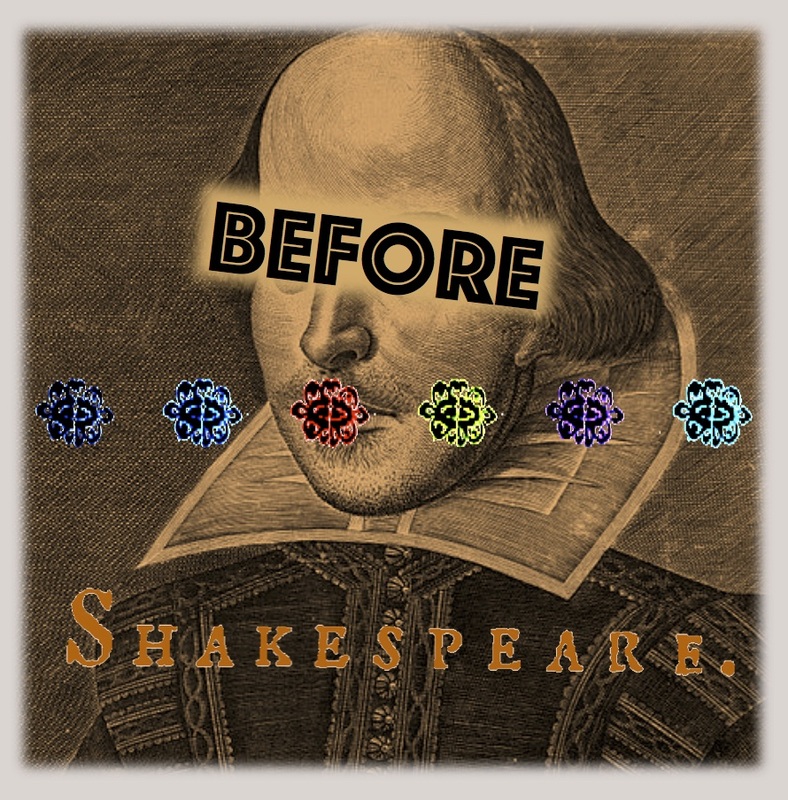 Before Shakespeare is helping that to happen, but it needs your help, too! Anyway, that’s just what I think. What do you think?